This sweet little Droll Yankees Ant Moat offers protection for your hummingbird feeders. When filled with water, this little cup forms a barrier that keeps ants away from the irresistible nectar of the hummingbird feeders. It has a 1 cup capacity that offers days of protection. 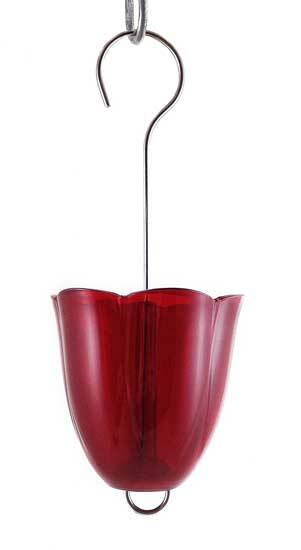 Constructed of striking ruby red UV stabilized polycarbonate, the ant moat is durable and long lasting. I got the items after I emailed you and we are very happy with them! I am excited to see how well the ant deterrent works! Thank you for your concern.